Samba is a free Open Source software which provides a standard interoperability between Windows OS and Linux/Unix Operating Systems. First, install packages required by Samba4 before compiling samba4. Run below command to install it. Run below command to download Samba 4.3.4 binary files. After extracting the file install it using following command. 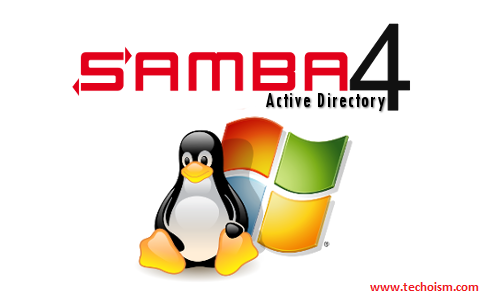 After samba4 has been success compile and install, you can provisioning samba4 and make it as Active Directory. For start samba while booting, you can make init script for easy starting or stopping samba. Make file executable and add the file to execute at boot time.